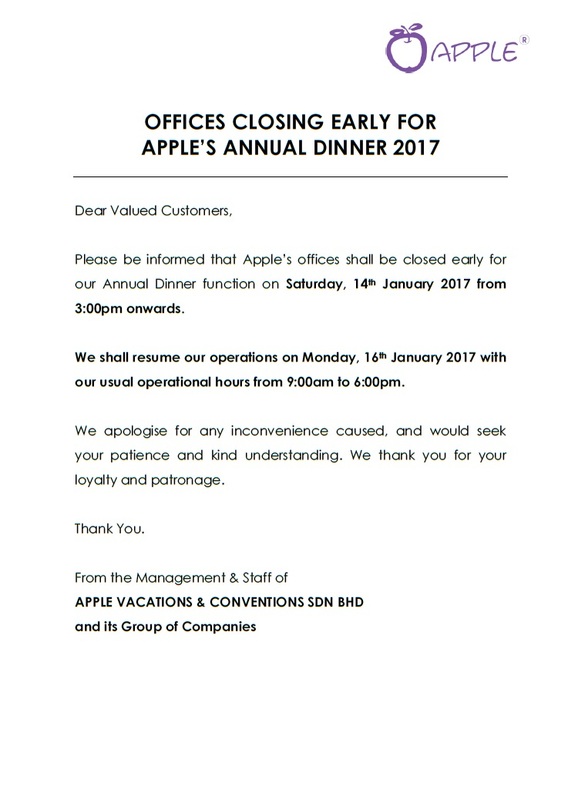 Please be informed that Apple’s offices shall be closed early for our Annual Dinner function on Saturday, 14th january 2017 from 3pm onwards. We shall resume our operations on Monday, 16th January 2017 with our usual operational hours from 9am to 6pm. 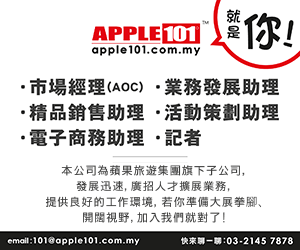 We apologise for any inconvenience caused, and would seek your patience and kind understanding. 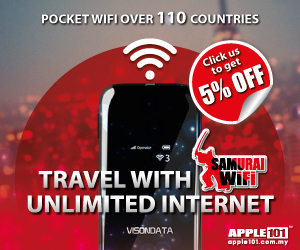 We thankyou for your loyalty and patronage.